Charter school students significantly outperformed their peers in reading tests, according to a new Stanford University study. But at the same time, students in virtual charter schools fell far behind their peers in math. Researchers from Stanford’s Center for Research on Education Outcomes presented their findings to the House and Senate education committees Thursday. High-achievement, high-growth charters. Based on reading scores, nearly two-thirds of Idaho charters are what CREDO defined as high-achievement, high-growth schools. That is, students arrive at school with strong reading skills, and post strong improvement during the year. That makes Idaho an outlier, CREDO Director Macke Raymond said. In most states, only a small fraction of charters fall into this category. Low-achievement, low-growth charters. Here’s the flipside. Looking at math scores, nearly a fourth of charters are low-achievement, low-growth schools. This means students start out with low math skills, and they don’t make up ground. Math scores in virtual charters are “pretty dreadful,” said Raymond, and that’s a driving factor. Another way to measure the numbers. CREDO calculated the impact on student success in terms of instruction days gained — or lost. Looking at all charter schools, and results from the reading section of the National Assessment of Education Progress, the higher test scores translate to a gain of 24 learning days. Students in virtual charters scored poorly on the math section of NAEP, translating to a loss of 59 learning days. Strong performance in rural charters. Unlike many states, where charters are concentrated in inner cities, more than one fourth of Idaho charter students come from rural communities. And while there isn’t much difference between charters and traditional schools across much of the state, rural charters far outperform traditional rural schools. For students in rural charters, this translates to a gain of 30 classroom days in reading and 59 days in math. “Those are phenomenal results,” Raymond said. Virtual charter schools’ struggles. CREDO’s study found some familiar problems at the state’s virtual charter schools. The online schools lag far behind traditional brick-and-mortar charter schools. Raymond was skeptical. She said virtual charter providers need to do a better job of explaining their achievement gaps, rather than simply blaming bullying or other external factors. Across the nation, many students struggle during a year in a virtual charter, and quickly rebound when they return to a traditional school setting. Charter demographics. CREDO’s study also lined up with previous data. Idaho charter schools serve a higher percentage of white students. Hispanics, English language learners, special education students and students in poverty are underrepresented. However, American Indian students make up 4 percent of charter school enrollment, compared to 1 percent of enrollment in traditional schools. CREDO has conducted similar studies of charter schools in 31 other states. 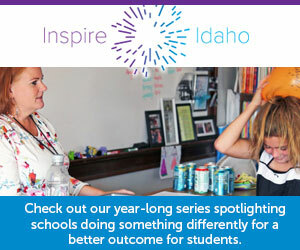 The nine-month Idaho study received support from Bluum, a Boise-based school-choice nonprofit. Bluum hopes to use a $17.1 million federal grant to create 8,200 new charter school seats, primarily serving rural and disadvantaged students. Bluum hopes to use the CREDO research as a “baseline” for this effort, Bluum CEO Terry Ryan told Senate Education.